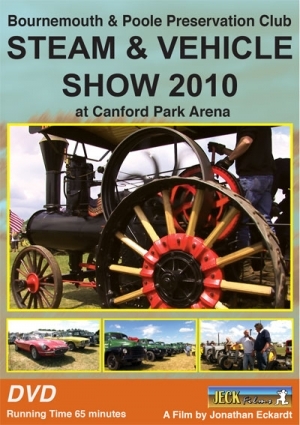 The Bournemouth & Poole Preservation Club presents the STEAM & VEHICLE SHOW at Canford Park Arena. Follow this DVD around the extensive displays of steam and vintage exhibits and enjoy the leisurely atmosphere of a family outing. Real gems can be found at smaller events that make even long standing enthusiasts blink in surprise. The Bournemouth & Poole Steam & Vehicle Show is such an event. Coupled with continuous sunshine and you leave feeling you had a jolly good day.